The cast iron skillet will make hashbrown crispy and brown on the outside and soft on the inside. 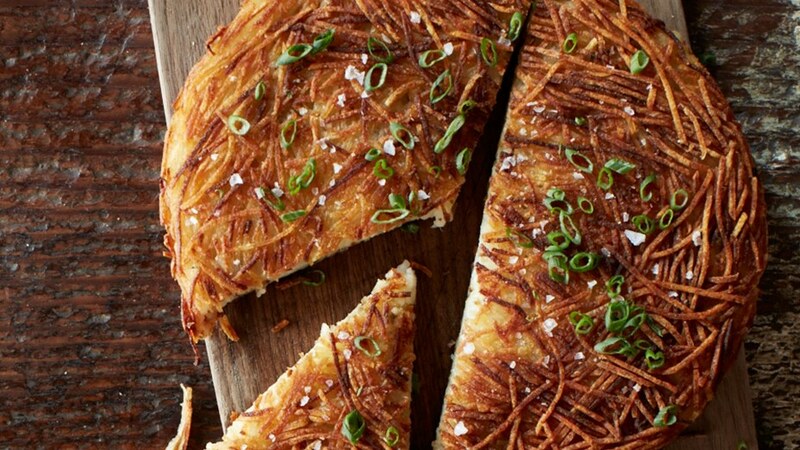 The perfect hashbrown. Rinse potatoes in a colander under cold water until water runs clear. Squeeze firmly to remove excess liquid.